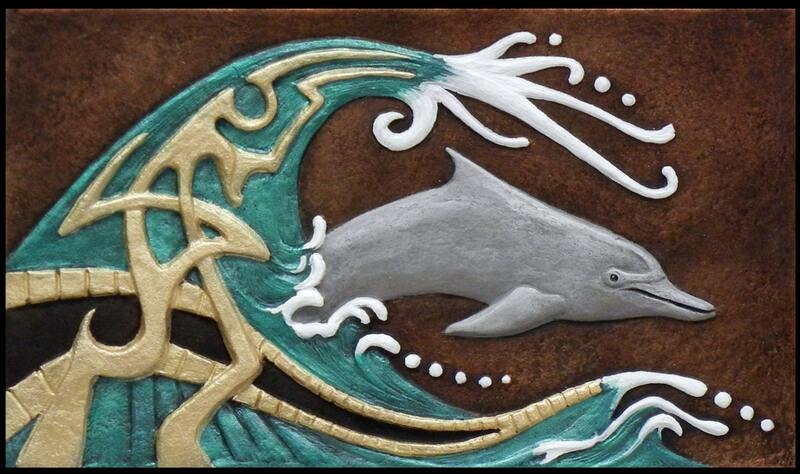 A dolphin rides the waves of the subconscious. 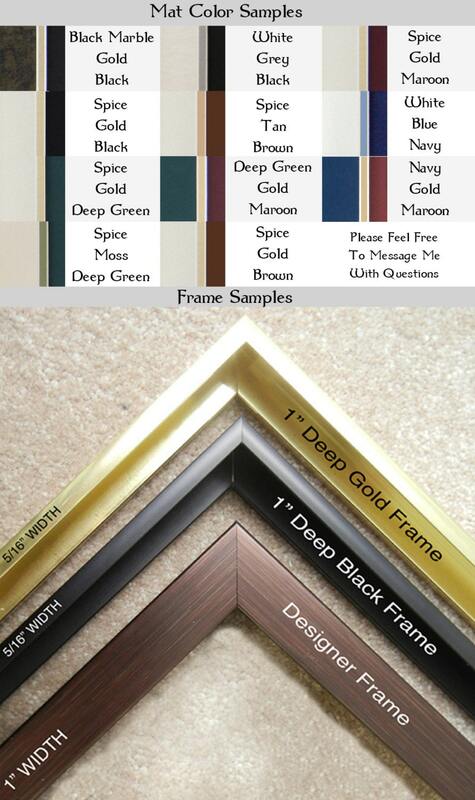 Frame dimensions are 12" x 16"
Some samples have mat details added to them. 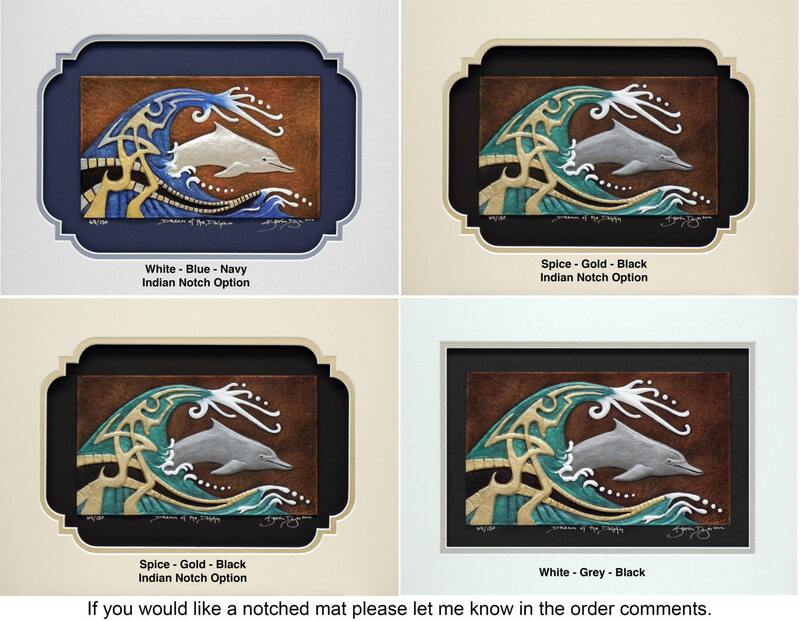 If you would like mat detail like a notch please let me know in the order comments. Otherwise I will assume you want a rectangular cut mat. My second purchase from this shop. 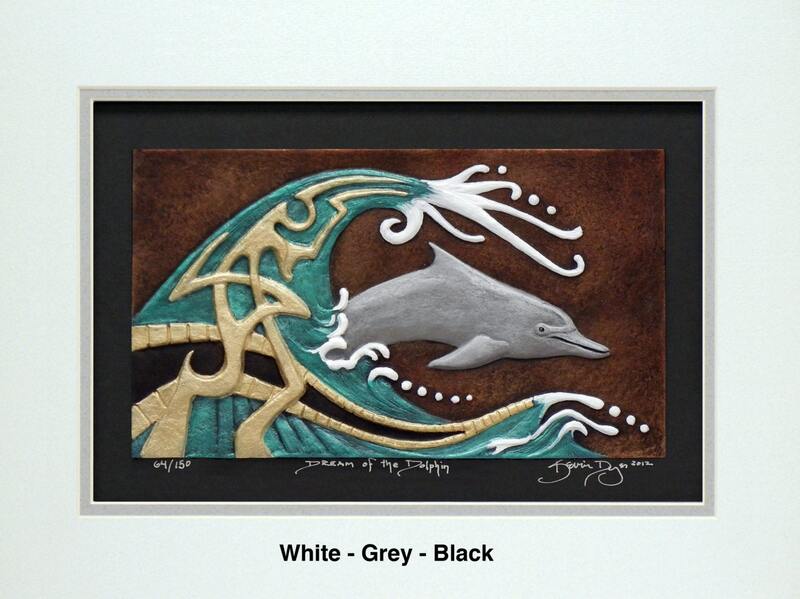 The dolphin is wonderful, thank you so much. 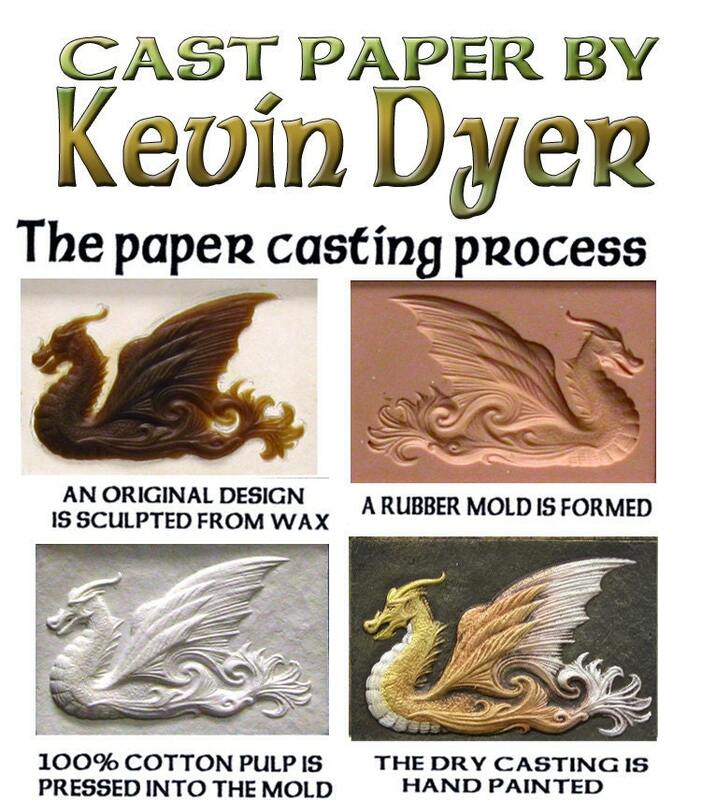 I find your process fascinating and all of your artwork is beautiful.